Former Nokia and Apple Executive is Starmobile's New Chief Operating Officer : Get To Know Mr. Jerry Mañus More! Last November 9, 2015, following the launch of the powerhouse flagship Starmobile Knight Spectra at the EDSA Shangrila Hotel, our friends from the Pinoy handset company invited me along with select members of the media and a handful of other tech bloggers to witness a 'major org announcement' in a conference room at the adjacent One Shangrila Residences. At first, we had no idea what exactly Starmobile was planning to disclose. But on the way to the venue, a friend from the company gave a hint that they will be introducing the latest member of their executive group. Still, most invitees - including me - were left clueless as to the identity of their newest 'star'. They opened the door of the conference room at around 5 o'clock in the afternoon and a really tall guy (check out my photo with him above; I'm 5'10 1/2 with shoes) welcomed us with a warm smile. It was Mr. Jerry Mañus, Starmobile's new Chief Operating Officer. Yup, he was the big surprise! Prior to joining Starmobile, Sir Jerry was a top executive at Apple and Nokia in the Indochina region. Last year, he became the iOS Manager for Asia of the Cupertino company and from 2011 to early 2014, he was the Country Manager of Nokia for both Cambodia and Laos. Before holding those posts, he was Nokia Philippines' Senior Channel Manager and Head of Distribution. 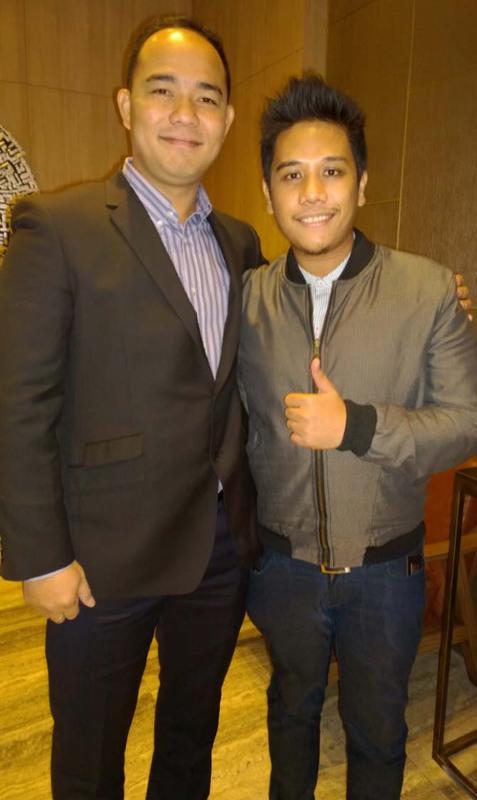 Needless to say, Sir Jerry is already more than familiar with the 'ins and outs' of the mobile industry - especially in the Asia Pacific region - and his expertise and experience will surely benefit Starmobile moving forward. "I think what's [...] important for the individual is to have a clear identity of who you are and then, [to develop] an identity of gratefulness, an identity of an individual who cares. I think that's what a Filipino should be and who we should be. So that starts from us, right? We have to clearly define who we are as an organization, as the owners, as the management. As the employees of Starmobile, we have to get that ingrained in ourselves [to] build the right character with the right set of values. And then, from there, it will be demonstrated with the products that we have. Hopefully, that will be transferred to the consumers that are really using Starmobile and creating that lifestyle, the lifestyle of gratefulness, the lifestyle of someone who cares," Sir Jerry shared. I have yet to get to know Sir Jerry more - that is, on the same extent that I know most of our friends from Starmobile - but after hearing what he said about building of culture of gratitude and caring for others starting from within the organization going out, I really believe that with him on board, the company's future will shine even brighter.